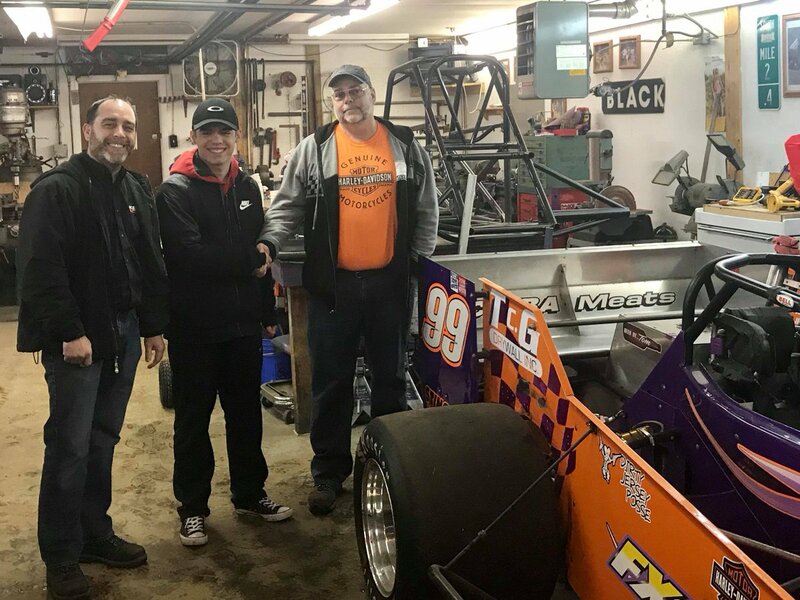 OSWEGO, NY (March 18, 2019) - Proud Motorsports will hold their annual Chicken BBQ Fundraiser to benefit Oswego Speedway Supermodified rookie Camden Proud this Sunday, March 24 at noon at LaGraf’s Pub in Oswego. OSWEGO, NY (June 22, 2018) - Following an extremely trying start to the 2018 season, Proud Motorsports has used the graduation break to regroup ahead of Oswego Speedway’s Independence Weekend Grand Prix 35 presented by Galloway Century 21 and Oswego D-Bus scheduled for next Saturday, June 30. OSWEGO, NY - Proud Motorsports has announced the date for the fifth annual Camden Proud Chicken BBQ Fundraiser which will return to Lighthouse Lanes on Sunday, April 8th.